There’s something strangely daunting about trying to judge the value of a modern novel. Perhaps that’s part of the reason why I don’t read them. I like to joke that I never read a book unless its author has been dead for at least fifty years. This isn’t strictly true, but for the most part it is. There are good reasons for this practice. For me, probably the foremost is that I hate to waste time. If I’m going to read a book, it had better be great. Not just good. But great. A masterpiece. A towering work of genius. One of the keystones of world literature. If it’s anything less than that, I feel I’ve wasted my time. There is too little time in this life to spend it reading the middling works of lesser artists, when the world’s masterpieces alone are sufficient to keep one busy for a lifetime. Especially when so many of these masterpieces bear repeated readings. Time is a sieve that filters out the cultural dross. No doubt there are sometimes gaping holes in this sieve, and works of genius too get sucked down the swirling drainhole of the universe. So it is that artists as large as Botticelli have been all but forgotten by subsequent generations, only to have their works re-discovered by some dusty scholar who recognized them for the masterpieces they were and fished them out of the drainhole before they were sucked irrevocably into absolute obscurity. But, on the whole, that which the sieve of time captures, it does so for a reason. How easy it would have been, it seems, for works like this, The Birth of Venus, to have slipped through the sieve of time. 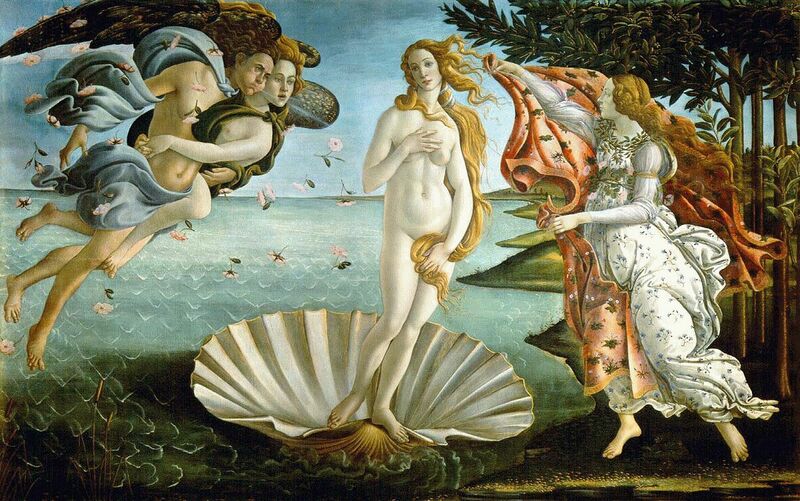 And yet, in the end, time did to its job, and Botticelli remains mercifully remembered. So it is that we can almost always approach a work whose reputation has survived the onslaught of fifty, a hundred, five hundred or more years with a high degree of confidence. Even if you don’t happen to like it, you can still say with conviction that there is “something great” about it. You feel instinctively that the mere reading of such a work is a valuable experience in itself, no matter what your subjective tastes might tell you, because the most refined connoisseur of all – time – is standing beside you and endorsing your choice. But step outside of earshot of this sonorous voice, and suddenly you are left on your own. The voice of time booms clear from out of the depths of the centuries and millennia, like the voice of Hamlet’s father speaking below the earth, but becomes increasingly muffled and lost in the midst of the shrill voices of a million opinion-makers and critics the closer you approach to the present: until your reach the present, and all you have to go on is public opinion and fashion. And we know exactly how far we should trust those. Two words: Jersey Shore. 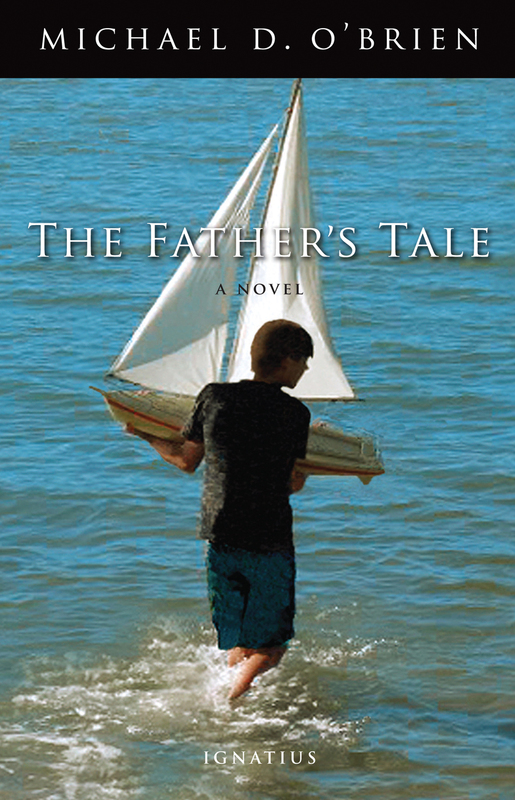 The whole time reading Michael O’Brien’s latest – The Father’s Tale – I felt the absence of the reassuring voice of time. Besides the ostensible authors of the ringing endorsements printed on the back of the dust jacket, I didn’t know what a single person thought of the book. And left purely to my own judgment, I discovered how uncertain my own judgments can be, vacillating wildly between exasperation and admiration. Accustomed to thinking only in terms of the masterpiece or the scrap-heap of history, my mind instinctively sought to place upon this book either the stamp of greatness or of rejection. In some ways the book itself invites this treatment. It’s not only the epic scale of the work, but also the cosmic nature of its material. By the end of the last page, however, my mind had settled somewhere in the vast spaces between the alternatives. There is greatness here. True greatness. Enough that I would unhesitatingly recommend the book to those who I think are equipped to understand it. But so too is there an unevenness in execution (there were whole passages that the editor in me was simply itching to run a red pen through), and perhaps even more damning, a lack of a universalism in language and occasional foray into obvious moralizing that, I think, will prevent it from ever being accessible to anyone beyond the typical recipient of the Ignatius Press catalogue: Catholic, conservative, educated. The first thing almost anyone will notice about The Father’s Tale is that it is big – clocking in at a daunting 1072 pages. It is, as the dust jacket says, an “odyssey,” a work conceived of on an epic scale. It tells the tale of Alexander Graham, the dusty owner of a bookshop in the small town of Halcyon, just north of Toronto. When one of his two sons, who is studying at Oxford, suddenly disappears Alexander sets off on a quest to find him. That quest takes him from Oxford, to Finland, several cities in Russia, a small village in Siberia, China, the United States, and finally back to Canada. 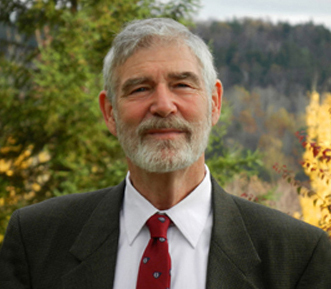 Much like O’Brien’s previous books, the plot is not so much the point of the book, as it is the rough contours of the landscape on which the author sets his characters free to roam – to live, to learn, to love, and to ruminate on great cosmic questions. Much of the book takes place in Russia, and it is infused with a Russian spirit. Like many of the great Russian novels, The Father’s Tale is peopled almost entirely with angels and demons, sheep and goats: characters of towering saintliness and demonic evil. Sometimes self-consciously so, as when the main character – a typically “nice” Canadian with an academic interest in Russian literature and history – launches into a harangue about the infuriating extremes of the Russian people. And much like the Russian novels, the book unapologetically and regularly swerves from the wide road of the plot to explore the ideas of some new character, or simply to let the characters stew for a while in the crucible of life. This last remark might sounds like a criticism, but it is not. As long as we’re setting The Father’s Tale up against great Russian literature, consider for a moment that other epic: The Brother’s Karamazov. What would The Brother’s Karamzov be without Fr. Zosima’s 100-page long autobiography, or Ivan’s lengthy imaginative tale about the Grand Inquisitor, or any of the innumerable and lengthy intellectual or psychological conversations which, strictly speaking, have nothing to do with the “plot” (i.e. patricide)? Though these are all “tangents,” they are tangents that the book could not do without: and had any overzealous editor with a taste for conciseness pruned these passages the work would have been irredeemably harmed. In my opinion, the strongest section of The Father’s Tale is one such tangent: a three hundred page interlude during which our protagonist, Alexander Graham, is stranded for several months in the tiny hamlet of Ozero Baikal in Siberia, after being mugged and losing all his money and papers. Alex is rescued from his plight by a widowed doctor, and her two sons. It is transparent from the very first that Alex will fall in love with this doctor. Predictability, however, is not necessarily a recipe for tedium. In the end the process by which the falling in love takes place, and by which Alex is involuntarily and ever-so-gently woven into the daily life of this family, is full of the unexpected in the exactly same way that every love affair between two completely unique human beings is full of the unexpected. This whole section of the book is executed with a tenderness and delicate patience that is utterly real and utterly compelling, and is characterized by a rich lyricism that brings the characters and the haunting locale convincingly to life. Chesterton once said that the most important part of any work of art is the frame. What makes this section of The Father’s Tale so great is its frame, particularly its smallness. O’Brien is primarily a psychological writer, and psychological fiction requires a small frame, a small cast of characters who can be sketched in hyper-detail. Ozero Baikal is the perfect setting for this kind of psychologizing, just as all the seismic psychological and spiritual forces of The Brother’s Karamzov are let loose in the loosely populated rural setting of Staraya Russa. Where The Father’s Tale fails, I think, is where O’Brien blows this frame to smithereens, yanking his character out of this intimate setting and throwing him into the midst of an international conspiracy. So sudden is this change that it simply feels jarring. Perhaps that is the intention, but ultimately it doesn’t work. White helicopters, secret government compounds, espionage, sunglasses, secret agents, guns, interrogation, torture: after the rich texture and human drama of Ozero Baikal, all of these somehow seem so pointless by comparison. In fact, much the same could be said about the whole machinery behind the plot of the book: namely the “kidnapping” of Alex’s son Andrew by a powerful religious cult with ties to multi-national corporations and politics. On the dust jacket O’Brien explains that his book is a modern re-telling of the parable of the prodigal son. What never becomes clear is why O’Brien thought fit to place the relatively humble tale of the prodigal son into the context of globalist forces, wealthy cults, and government espionage. This is especially the case since we never learn the nature or purpose of the secret government compound that Alex so blithely stumbles upon and that precipitates the whole final act of the novel, nor do we ever encounter or learn any meaningful specifics about the cult that has so beguiled Andrew. In the end, one feels that it would have been more effective to have preserved the mood of the prodigal son, and simply had Alex’s son disappear with a tawdry crowd of common sinners in search of the pleasures of common sins: like Sebastian’s dishonorable disappearance in Brideshead Revisited. This would have been a sufficiently compelling framework for Alexander Graham’s odyssey. To involve governments and all their machinations not only seems arbitrary, it feels like gross overkill: as if one were to use a bunker-buster bomb where a .22 might have done the job. This feeling of overkill and pointlessness becomes especially acute when the reader discovers exactly what happens to Andrew at the end of the book (which I won’t give away, for those readers who may yet read it). But though Michael O’Brien is manifestly not dead (and certainly not for fifty years), I confess that I did not, in the end, feel that I had wasted my time in reading The Father’s Tale. And this may very well be (though it may sound stingy) the greatest compliment that I can pay to it. I do not know whether the book will ultimately survive the test of time. But what strikes me now is that in many ways the voice – both literary and physical – of Michael O’Brien resembles that of time. Anyone who has heard Michael speak will not soon forget that voice. It is not the shrill voice of an opinion-maker or pundit. He speaks slowly, and from the soul, and, more often than not, about things that matter. Whatever the status of the work in the grand scheme of world literature, what is certain is that much of what O’Brien has to say in The Father’s Tale is well worth listening to. Thanks for the excellent review. You put into words the ambivalence I felt after reading the book. I couldn’t agree with the dust jacket reviews calling it “great,” and a modern classic, but like all of Mr. O’Brien’s books, there is much in it that is worth reading. Thank you for the thoughtful review Romulus. I read O’Brien’s Father Elijah many years ago and one of the most important points you make here also applied to that work. I have completely forgotten all the globe-trotting and intrigue, but there was a lengthy scene (maybe three chapters, right in the middle of the book) where O’Brien displays his real gift for intense character study and psychological drama. I have often wondered if he could capture that in a short story or 150 page novel. Then he might produce something really lasting.